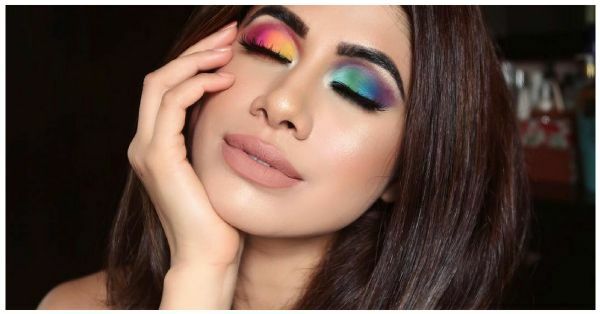 #LoveWins: Here Are Some Rainbow Makeup Looks To Celebrate Our Pride! It has finally happened. A major win for the LGBTQ+ community and an even greater one for humanity. We are taking #Pride in the verdict passed by the Supreme Court today. They have unanimously moved to decriminalise the decree mentioned in Section 377. We couldn't be more ecstatic. For the LGBTQ+ community, freedom of self-expression is one of the most important struggles they face on a day to day basis. A lot of this self-expression often happens in the form of makeup and outfits. While we would love to have an LGBTQ+ support day/month/year/life, but June was a month where the LGBTQ+ community was celebrated internationally. Brands, celebrities and influencers have extended their support and approval to this once neglected community. Here's some really inspiring makeup looks that caught our attention! You don't have to be queer to be supportive of the LGBTQ+ community. The sentiment here is just as it is for feminism, empowerment and the freedom to express yourself authentically and be who you are. Here's to many such globally empowering movements! Now, go be as extra as you can. Be you and OWN IT! What was your favourite look? Do tell us! Also if you want to try your hand at these, here are a few rainbow makeup products that you should get!